For the last 13 years I have been working as the Chief Executive of St Catherine’s Hospice in Lancashire. Having had a varied career prior to that in the Army, Church of England, RAF, NHS and Local Government the hospice role came as an unexpected turn in the road and yet, from day one I found it totally inspiring. I feel deeply privileged to have the opportunity to make a difference to the lives of local people at those times when it matters most. Only the other day I met a group of people who wanted to say thank you for the care of their loved one. I was met by a group of 8 men and a young boy and girl. Each was holding a parcel. In our family room they expressed their gratitude for the way that we had cared for the 40 year old wife of one of them and mother of the 2 lovely children. They were beautifully polite and kept repeating the words “Give and it shall be given unto you”. Each parcel contained a cake that they asked me to share with everyone who worked in the building. They had also held a local collection and handed me an unexpectedly large cheque. I felt deeply humble to be in their presence. Stepping down from 8 years’ work with Help the Hospices and Hospice UK in 2017, but continuing in my local role, I wanted to carry out a piece of research on a part-time basis that would be of local and national benefit going forward. 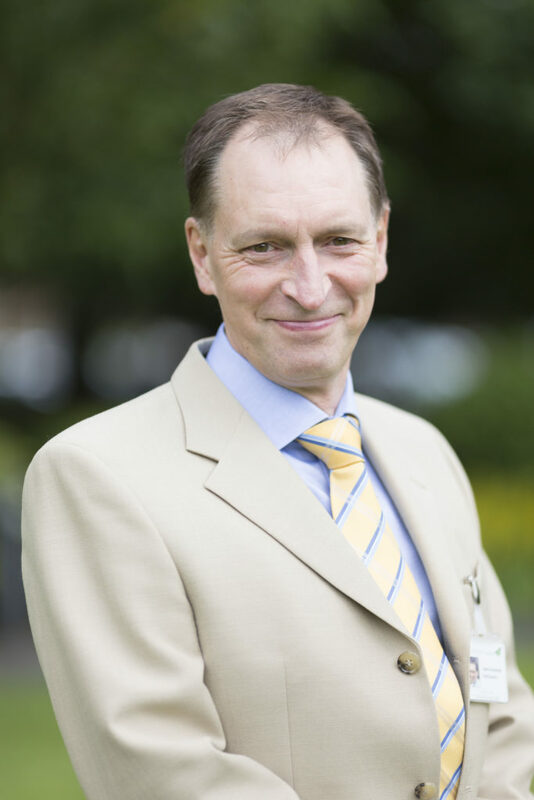 Having known David Clark from his days in Lancashire and been somewhat in awe of his knowledge of the hospice world, he was the obvious start point. I was amazed that he found time to respond to my roughhewn thoughts and to wisely guide my preparation of a proposal. It was 18 years since I completed my Master’s degree so I started in October 2017 with considerable trepidation. There were logistical challenges to work out such as how to travel from Preston to Dumfries on a regular basis, how to create sufficient time amidst my busy role, and where to find funding. As a technological donkey getting through the university’s registration system took some doing but I did so (with help!) and began supervision. I can honestly say that meeting with my supervisors, David Clark and Dr Sandy Whitelaw has been terrific, they are enormously helpful, challenging and considerate, ensuring that research is rigorous and my own. I knew that part of the journey of a PhD would involve being pushed out of my comfort zone and that has certainly been the case. For me, learning to be a researcher and working out how to get past my day-to-day responsibilities, to get on with a soundly based thesis are my main challenges. I started off with the rather general idea of looking at the future of UK hospices but wasn’t exactly sure how. With time and reflection this became a study of “leadership and change in English hospices”. After my first year I am even more enthusiastic than I was at the outset and just want to get to the heart of it. However, that’s one of the challenges of working part-time, sometimes “life” gets in the way and there’s no getting round that. So, despite feeling that I should be much further on than I am, I am determined to make big steps as I work through my second year. As with my day job, I feel privileged to be part of the outstanding set-up in Dumfries and thrilled to have the opportunity to learn and create something that will make a real difference to families at such poignant moments in their lives. I am extremely grateful to David and Sandy for their excellent guidance, to Dr Kasia Borkowska, for her superb teaching on research methods and to all those who work so hard in the background to hold everything together. The welcome smile, coffee and toast that I receive in the small café, make all the difference!